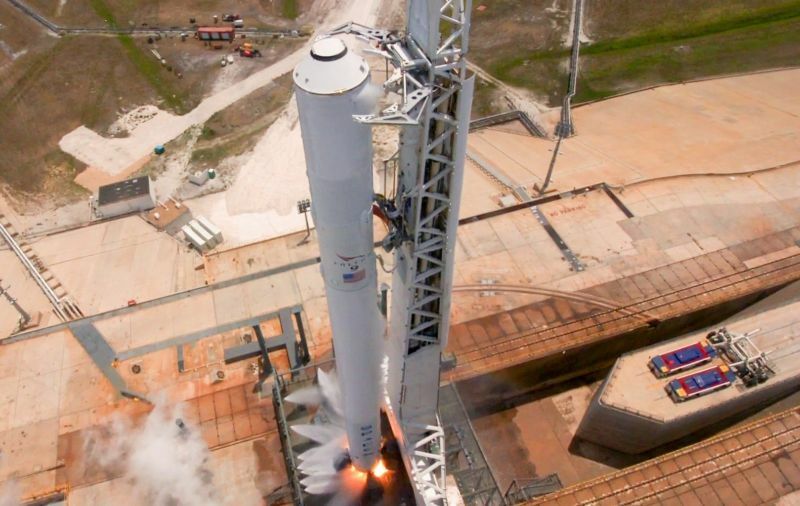 Due to accidents, production issues, and other factors, SpaceX has in recent years failed to achieve a "high volume" launch rate of a dozen or more Falcon 9 rockets per year. Famously, the company has a backlog of 70 or more missions, which SpaceX estimates to be worth $10 billion. Even with a static-fire accident that destroyed a rocket and its payload on September 1, last year was the company's most successful year in terms of overall launches with its workhorse Falcon 9 booster. Prior to the accident, SpaceX had made eight flights of the Falcon 9 rocket, a cadence of one launch per month. Since SpaceX returned to flight on January 17 of this year, five Falcon 9 rockets have launched, and the sixth mission is scheduled for Monday. The launch window for the Inmarsat-5 F4 mission, which will take off from Launch Complex-39A at Kennedy Space Center, opens at 7:20pm ET Monday (00:20 UK Tuesday). If that rocket takes off on schedule, it would give the company six launches in four months. A seventh launch could come just two weeks later at the beginning of June, a cargo supply mission to the International Space Station. Extrapolating that figure out, it would put SpaceX on pace for as many as 18 to 24 launches this year. While this would leave SpaceX a bit short of its ambitious goal of more than two dozen launches this year, it would nonetheless represent a big step forward for the company, more than doubling its output of any previous year. This is significant because launch competitors in the United States, Europe, Russia, and elsewhere that struggle to compete with SpaceX on price will often counter that the company can't meet its launch commitments. A SpaceX that meets its flight rate goals is warily referred to as a "steamroller" by some French rocket officials. The company also appears to be making progress toward the reuse of as many as six flown boosters this year. After the first reusable flight, of an SES-10 satellite at the end of March, SpaceX plans to use two pre-flown boosters for a Falcon Heavy mission later this year. It also may use "flight proven" boosters for BulgariaSat-1 in mid-June and potentially two more SES satellites later in 2017. In short, SpaceX captures the most attention when it makes spectacular launches and landings of its rockets. But the real hard work lies in ironing out production issues, fixing mistakes, and reaching a long-promised high flight rate. With the progress we've seen so far in 2017, it appears that SpaceX is finally making good progress toward this promised land.